South Sudan became the world’s newest country Saturday, 9th July, 2011, closing one chapter of the Africa’s longest and bloodiest civil wars. So what does a territory have to do to achieve statehood? First of all, international recognition. Any group or individual can declare their own nation, but without recognition from other states, this can be a futile gesture. 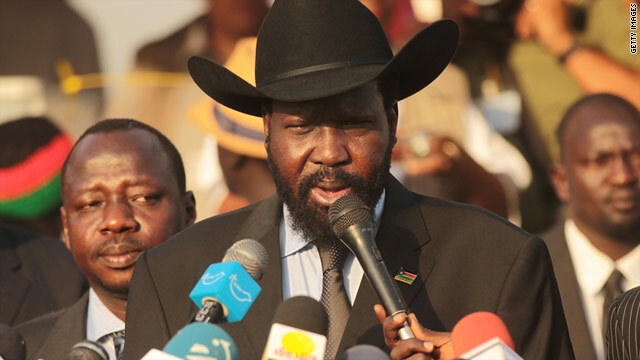 South Sudan is unlikely to meet resistance since its so-called parent state, Sudan, has agreed to the secession. South Sudanese officials say they are on track for recognition by the United Nations, the World Bank, the International Monetary Fund and other key bodies. No country can function effectively without a government. South Sudan has an advantage in that it inherits the basic entity that ruled Southern Sudan, including the leadership of its President Salva Kiir Mayardit. Elections are promised, but no date has been finalized. Countries need borders as well, and it is here that South Sudan is going where no new nation has gone before, testing a principle of international law known as uti possidetis. Under this rule all new states have been drawn along pre-existing boundaries. South Sudan, however, will carve a new frontier with its northern neighbor along lines still fiercely disputed due to access to oil resources. Therefore, South Sudan is a new country with its own currency, the South Sudan Pound, flag and constitution. Despite this great success, as said by Mgr. Michael Didi, Bishop of El Obeid, “after 22 years of war and other six years of tensions with Khartoum, the South Sudan celebrates a dream, but, few days after the celebration peace and reconciliation are not yet a reality”.